by Clarissa ~ December 7th, 2010. Filed under: Other. The weekend after Thanksgiving, Zachary and I decorated our house for Christmas. 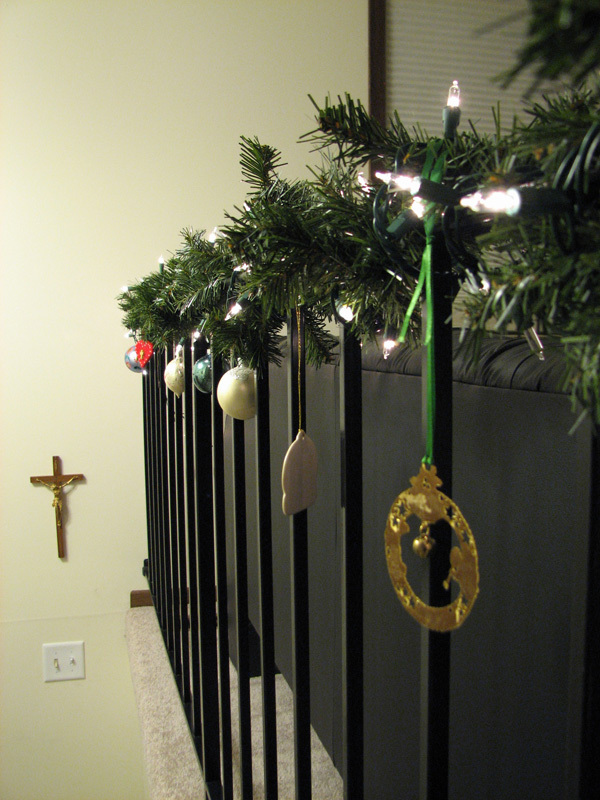 I wound the railing with lights and garland and hung ornaments from the garland. 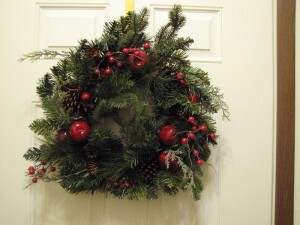 Then I hung the wreaths on our door. Sadly, the space between the door and screen door was too small, so I hung it on the inside of the door and put a smaller wreath on the outside. Next was the tree. Zachary and I had decided to buy an artificial Christmas tree to avoid the hassle of a real one. 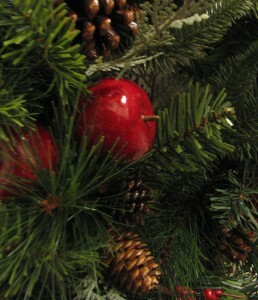 (Hauling one with our small car to our house, the allergy issues that come with it, and disposal after it has dried up and died makes a real tree not so appealing.) 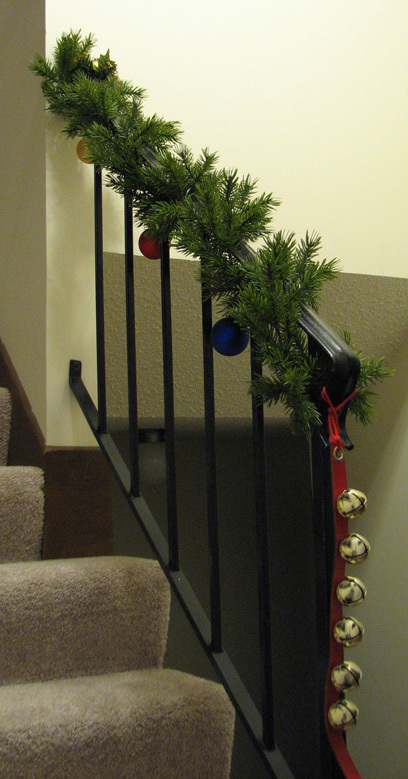 Since that decision, we have been in the market for an artificial Christmas tree, but haven’t gotten one yet. 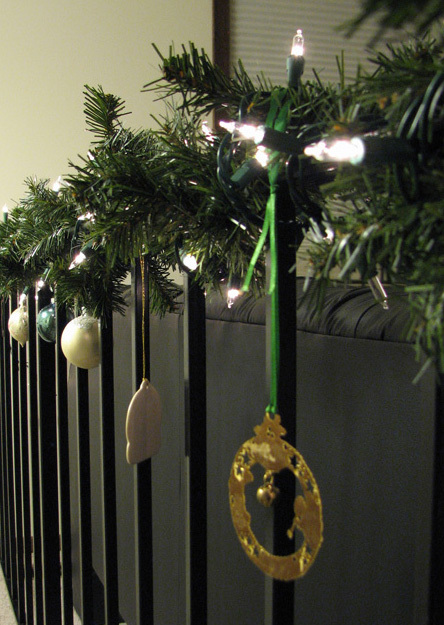 We have hit up a few aunts and uncles to see if they have an extra tree, but haven’t succeeded in mooching one. 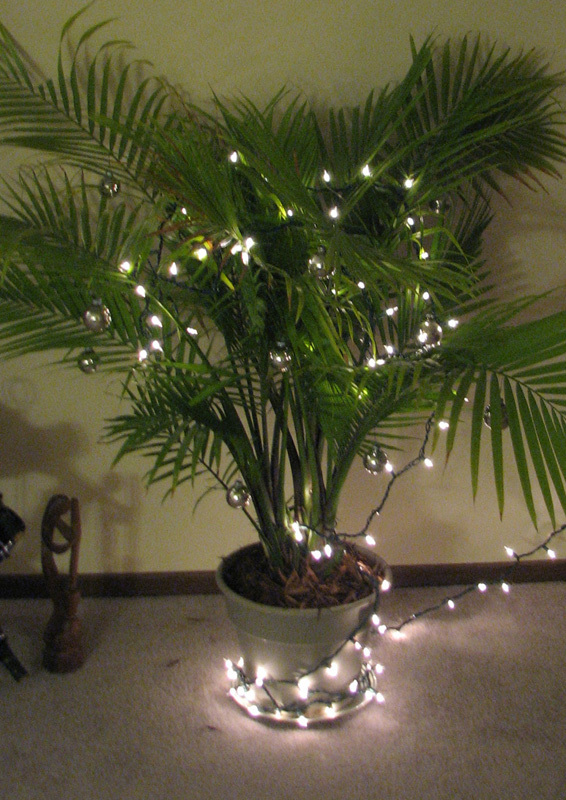 In the meantime, I decided to decorate our palm tree. You guys are on top of it….we haven’t even put up our wreath.